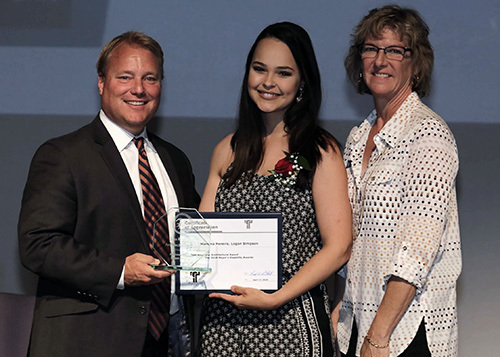 Congratulations to Logan Simpson designer Mariana Pereira, who was awarded the City of Tempe, Arizona’s Tom Ringhofer Architectural Award as part of the city’s 2018 Mayor’s Disability Awards. 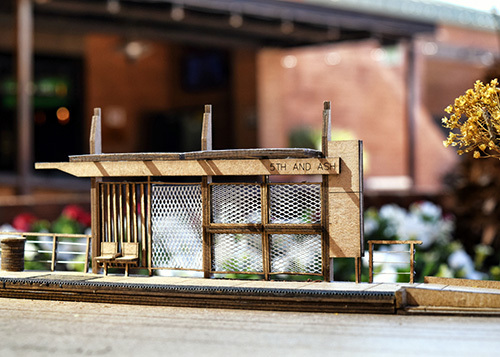 Mariana created detailed, laser-cut models of multiple stops for the Tempe Streetcar, which will follow a 14-stop, 3-mile route in downtown Tempe. Logan Simpson was the lead urban designer and landscape architect for this high-profile alternative transportation project. The project requires strict adherence to Americans with Disabilities Act, Public Rights-of-Way Accessibility Guidelines, and Crime Prevention through Environmental Design standards. 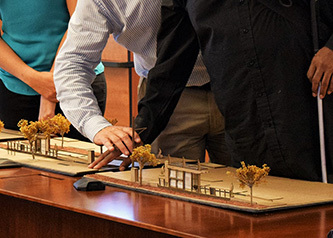 Project goals include providing intuitive and barrier-free access to stops, incorporating sufficient shade, lighting and seating in waiting areas, and integrating public art. Logan Simpson is also responsible for coordinating the work of architecture and wayfinding and interpretive signage graphics. Read more about the project here. Information about the Mayor’s Disability Awards can be found here.